I am from Florida, so I get myself a little crush on a nice country boy every once in a while. There is something oddly attractive about a man in flannel and boots, but country stars of this new age don't exactly look that stereotypical anymore. 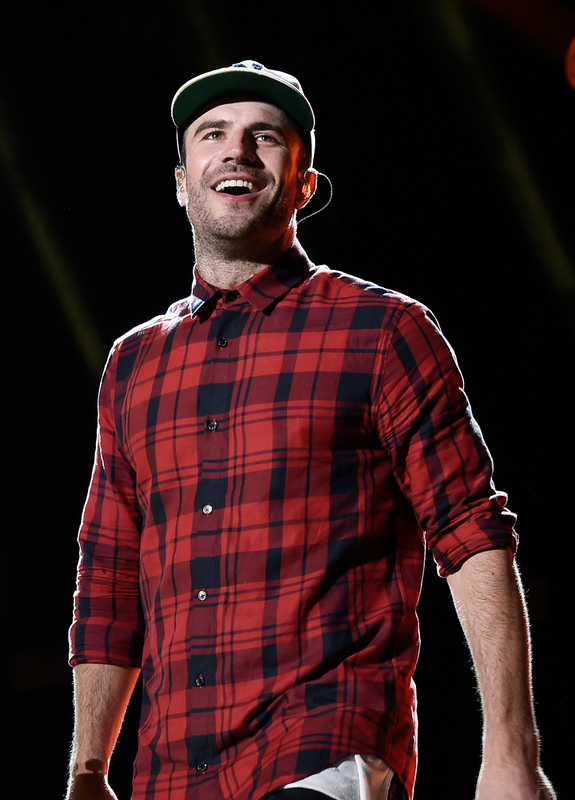 Sam Hunt is one singer who is breaking the molds of style and persona in the country world. Naturally, being that he happens to be as attractive as he is talented, women and men around the country are desperately wondering who Sam Hunt has dated, you know, to gauge their chances. I only recently heard of Hunt, but his first album, Montevallo , which was released in October 2014, was an instant success, and he became the first country artist to "have all of the singles from his debut album peak within the top 40 of the Billboard Hot 100 chart," according to Ram Entertainment. Not too shabby. When his dreamboat status kept rising, fans became a little more interested in his personal life, and no doubt wondered about the woman who inspired such hit love songs. While so far in his relatively short career in the public eye there hasn't been confirmation of any girlfriends, there have been rumors of the women Hunt may have dated, as well as some talk of the women fans want him to date. When any speculation of a Sum Hunt girlfriend is around, the name Hannah Lee Fowler pops up. Last summer, Hunt posted a photo of Fowler on his Instagram account and titled it "My angel," giving a good indication of their relationship. In a Billboard profile this year, Hunt shared that he named the album after the Alabama hometown of an ex-girlfriend, and it turns out that Fowler does live in Montevallo, Alabama. I think we have a match. This July, Swift brought Hunt out on stage during her 1989 tour to sing his song, "Take Your Time." Because of their on stage chemistry, fans started to wish that the two would hook up, but apparently her current boyfriend Calvin Harris was in attendance. They do look good together, though. Over the summer of 2015, Us Weekly sources claimed that The Bachelorette's Andi Dorfman met and hooked up with Hunt after the 2015 Country Music Awards Festival. Shortly after, both Hunt and Dorfman denied the dating rumors and said that although they did meet, they went their separate ways. Since Blake Shelton and Miranda Lambert announced their separation, they've been the subject of many dating rumors. Shelton is currently rumored to be getting closer with his Voice co-star Gwen Stefani and early in October, reports emerged that Lambert was cozying up to Hunt. The two are slated to join Kenny Chesney on his Spread the Love Tour, so they are either just doing business together or mixing in a little pleasure. If they're both single, why not? Well, Hunt currently seems to be single, successful, and ready to mingle, so I have no doubt he's going to find himself a lady real soon.